More and more people are using social dating apps like Tinder to give their dating life a boost or to help them find that special someone but there's a lot more to being successful on Tinder than simply downloading the app. Here's everything you need to know to make sure your next potential love interest swipes right on your Tinder profile instead of left. Tinder is a popular smartphone dating app that launched in 2012 on iOS and Android devices. Its popular swiping mechanic, where users choose who they find attractive by swiping right or left on the device's screen, set it apart from many similar rival apps and it continues to be one of the most popular dating apps to date. A web version is also available to use within a traditional web browser on a computer. While there has not been an official Tinder app released for Windows phones, 6tin, a Third-Party app. Does connect to the same user database and is a solid solution for owners of Microsoft's smartphones. In a nutshell, the Tinder app displays the profile image of other Tinder users which you can swipe right on to express your interest or swipe left if you don't want anything to do with them. Only after two users have swiped right on each other's profile pictures can they communicate with each other via direct messaging within the app. It's impossible to chat with someone within Tinder if mutual interest hasn't been expressed. This added layer of protection is one of the reasons Tinder is so popular compared to other dating apps as users will only ever hear from those they've expressed interest in. How Does Tinder Connect to Facebook? After the app is installed on your smartphone or tablet, Tinder connects to your Facebook account to create a user profile. This Facebook connection allows for a faster setup and an easy way to restore your Tinder settings should you switch devices in the future. With Facebook connected, you can import photos from that social network to Tinder to use on your profile and you will also be able to see if you have any mutual Facebook friends with other Tinder users. This can create a greater sense of trust between users and also provides you with a chance to ask a friend about someone before meeting them in person. Another benefit of connecting Tinder to Facebook is that it will import and display your Facebook interests (i.e. pages or topics you've liked) on your profile if the person viewing it also likes those same things. It's a convenient way to see what interests Tinder users have in common with each other. What Sort of People Use Tinder? Tinder users vary greatly in age from the average single university student to senior citizens in their 80s (or older). Some may be single straight businesswomen in their 20s while others could identify as a middle-aged gay man. The social dating app is used by adults (18+) of all ages, genders, and sexual orientations and is also available in over 40 different languages and most major markets around the globe. First impressions last so make your photo count. That photo with your three best friends taken at last year's Christmas bash may be a great photo of you and your buddies but it's also really going to sabotage your Tinder experience if you use it as your primary profile picture. Tinder users literally decide if they like someone within seconds of viewing their primary photo and if it isn't clear who exactly in the photo the profile belongs to, they'll likely swipe left (that's a 'no') and move onto the next person. You should be the only person in your primary photo. If you want to show off your friends and family, simply add those photos to your gallery for interested parties to scroll through after you've got their attention with your amazing main pic. Best to exclude any pictures of your super-hot best friend though. Tinder is all about comparing people to each other and you don't want someone viewing your profile and thinking of someone else. Don't: Try to be funny or clever by using a photo of a dog, stuffed toy, or sunset. It will simply make your profile look like a spam/fake account. Do: Connect Tinder to your Instagram account. This will display several of your Instagram photos on your Tinder profile and is a great way to show more aspects of your personality. Avoid confusing matches on Tinder by checking your settings. One of the reasons that Tinder is such a popular dating tool is because it allows for a fairly customizable experience. Guys can search for girls, girls can search for guys, guys can search for guys, and girls can search for girls. A surprisingly common problem though is that many users are unaware of the gender and search options and find themselves playing in the completely wrong ballpark. One reason for this problem is that a Tinder account's gender is based on the connected Facebook account and some people either choose to keep this ambiguous or simply have forgotten to fill in their profile completely. A gender is needed for Tinder to function correctly so make sure your Facebook profile is complete. To customize who you search for in Tinder, simply open the search settings from within the app and choose male or female. To clarify, checking the male box in the settings means that you'll be searching for men and checking female will make the app search for women. If you're bisexual, simply change the setting to browse users of each gender. Even after switching options, you will still be able to communicate with those you've previously matched with. Don't: Try to be secretive on Tinder. Most people will simply swipe left on you in favor of someone who's forthcoming with who they are and what they want. Do: Take the time to complete your Facebook and Tinder profile settings. No one likes to be yelled at. While it can be tempting to vent your frustrations on your profile ("Why can't I match with anyone? What's wrong with this app? "), doing so will simply make you look angry and unapproachable. Your Tinder profile should be where you present to the world your best self. Think of it as an opening sentence in an introduction. No one likes the person who dives into a rant the second they meet someone. Some ideal things to mention on your Tinder profile are your hobbies and your job, what sort of food you like, and what languages you speak. It can also be a good idea to write down what you're looking for on Tinder too. Are you searching for some casual dating or do you feel like it's time to settle down? Either is fine but the more information you share, the less time you'll waste with users who are after completely different things and the easier it will be for others to begin a conversation with you. Don't: Quote poetry. It's way too intense and can come across as creepy. Also avoid posting your phone number or physical address. Do: Use emoji. Your Tinder profile character count is limited so try to communicate information with emoji to save space. Are you someone who will only date non-smokers? Use the No Smoking emoji. Love surfing? Try using the surfing emoji. Don't forget to add your travel plans to your Tinder profile. Due to how Tinder works by matching users with others who are geographically near, this can cause trouble when travelling for leisure or business. For example, if you're on holiday in Hawaii, Tinder will show you other users in Hawaii and not from back home in New York. 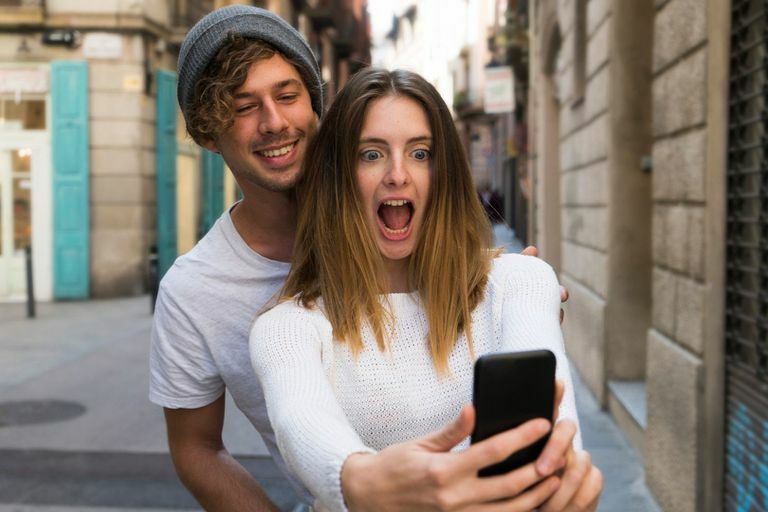 This can be fine if you're looking for some casual dating while traveling but it could also cause some frustration with locals who are looking to date someone long term who lives in their neighbourhood. A popular solution to this is to simply update your profile when you travel with something like "New Yorker holidaying in Hawaii for two weeks." This will make sure everyone is on the same page and can also provide interested parties with a great conversation starter. "Do you want someone to show you around?" Don't: Forget to update your profile if you open the Tinder app during a trip. Make sure to avoid mentioning your specific hotel room number or AirBNB address though. Safety first. Do: List your travel dates and cities on your Tinder profile. This is actually a really common practice for users who travel a lot and can be a really effective way to make contacts before your plane even departs. Your children are a bonus, not a handicap. A lot of single parents may feel nervous about telling potential dates about their children due to a fear that they'll be seen as extra baggage. Having children can be seen as a positive for those who are unable to have kids of their own due to their age, medical reasons, or sexuality. Besides, it's always better to be upfront about major life factors like children. Being a parent is an amazing accomplishment that you should be proud of. You could even use it as an interesting conversation starter. Don't: Hide your parental status. Honesty is the best policy. Do: All you really need to do is mention your children briefly on your profile. Something like "Mother of two wonderful kids" is all that's needed. Feel free to post photos of yourself with your kids but make sure you include some photos of just yourself. You don't want to give the impression that you don't have room in your life for anyone else.